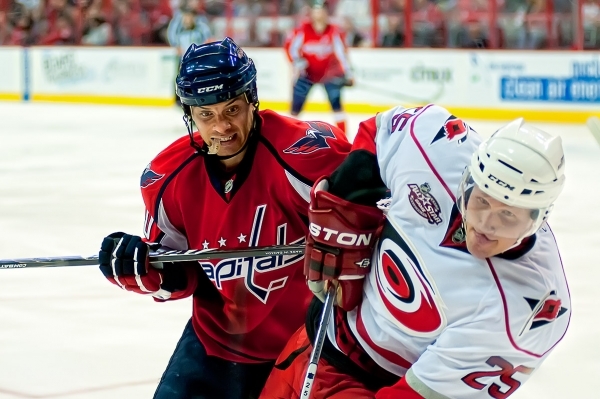 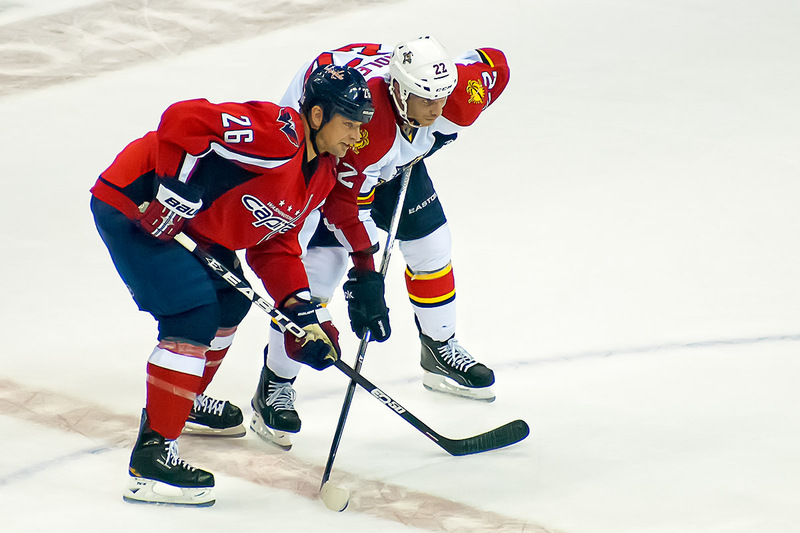 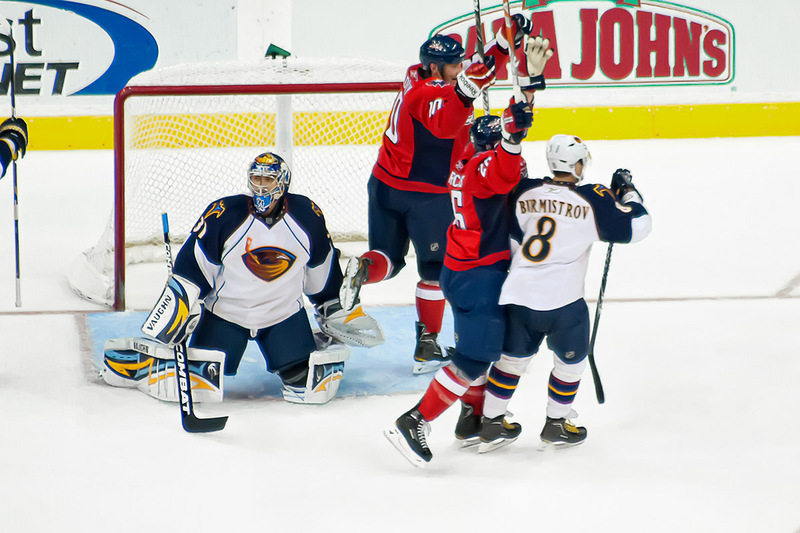 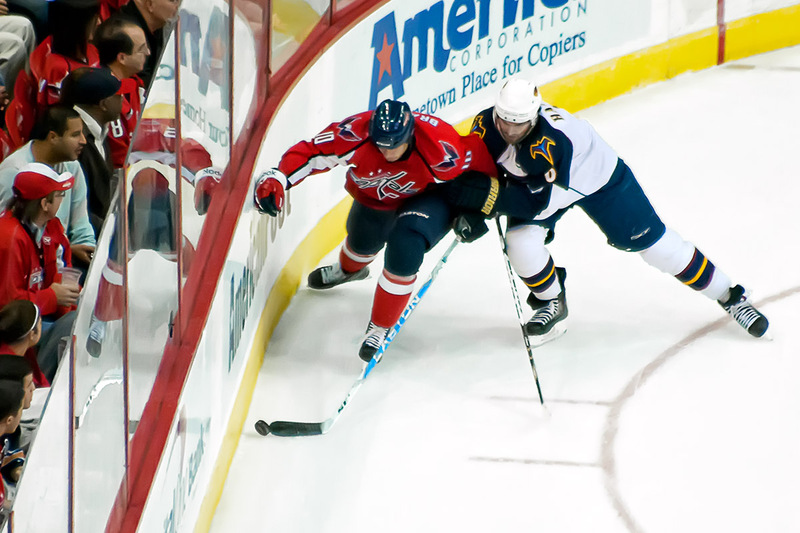 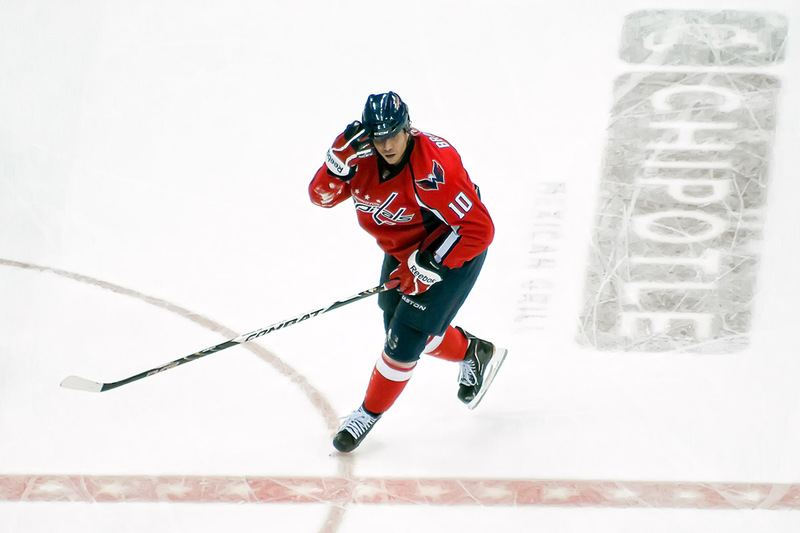 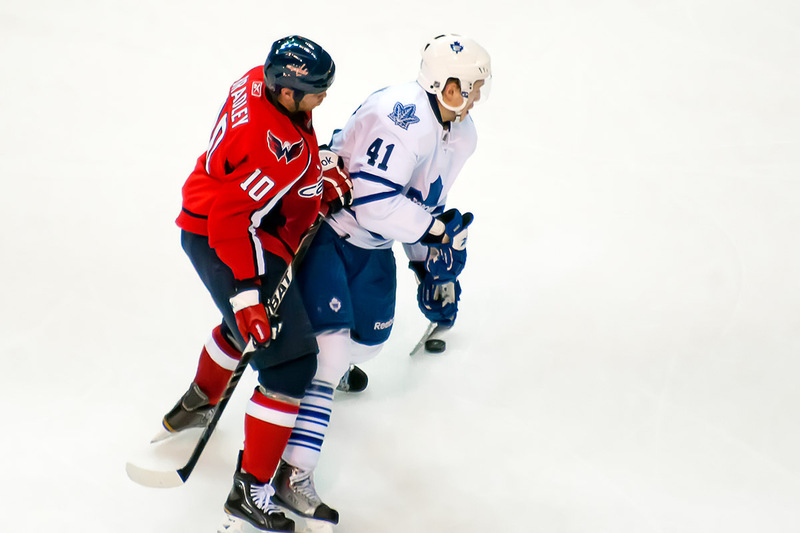 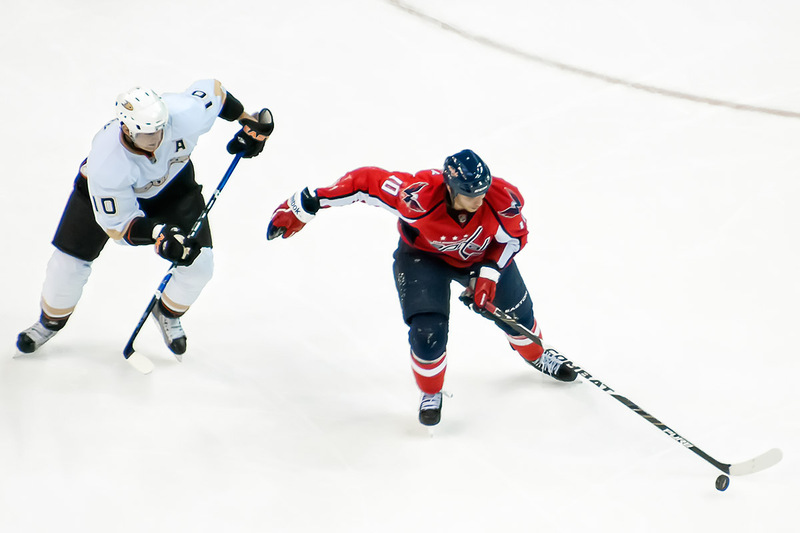 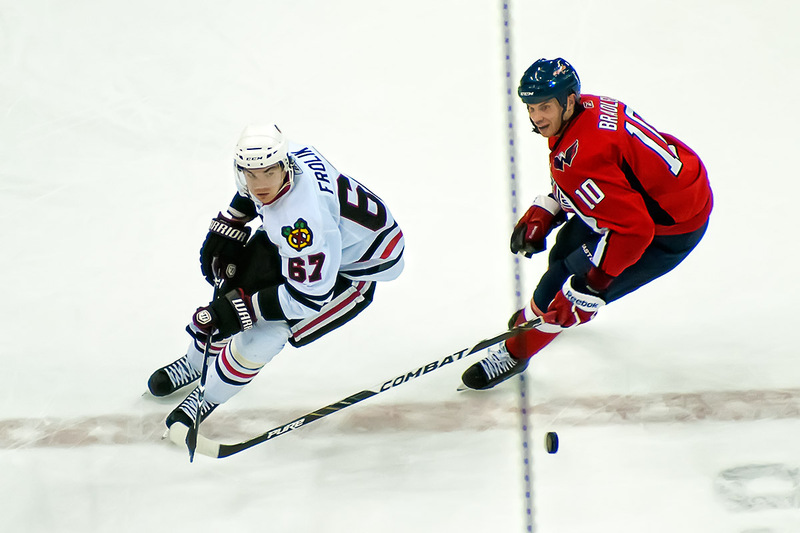 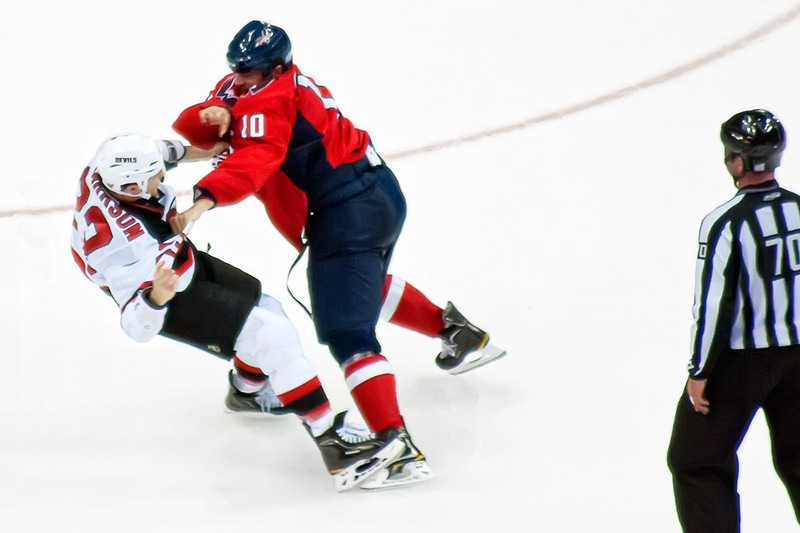 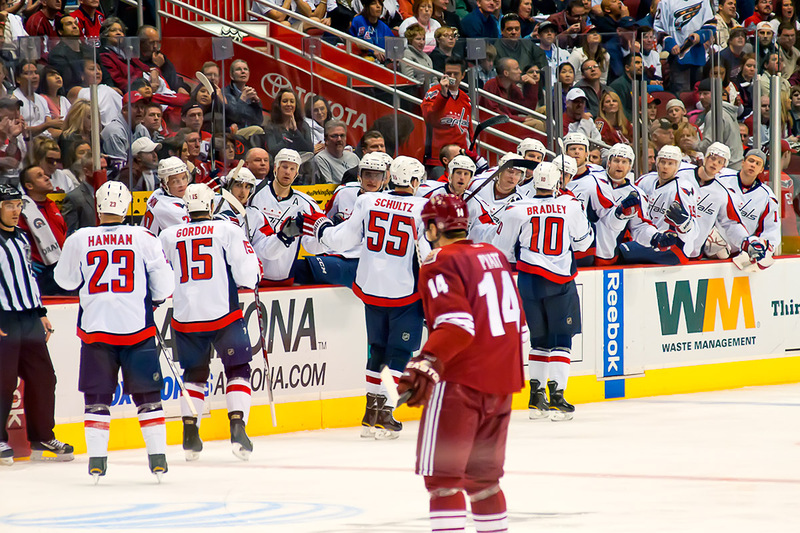 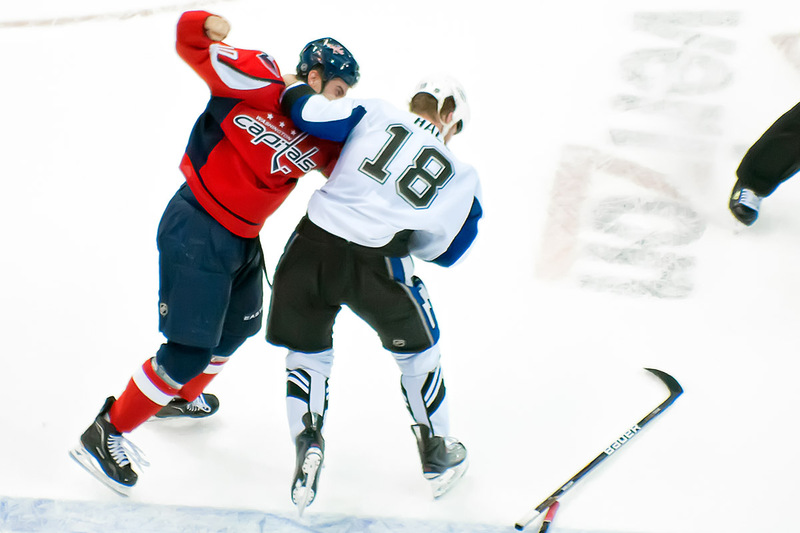 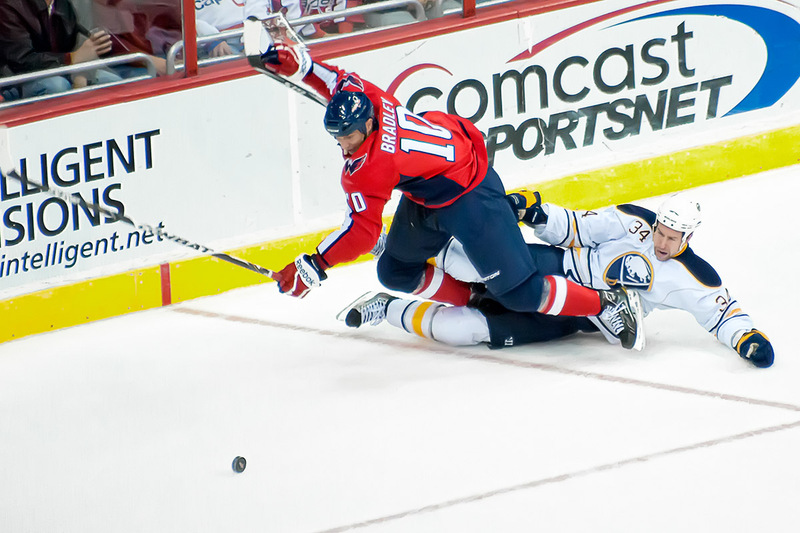 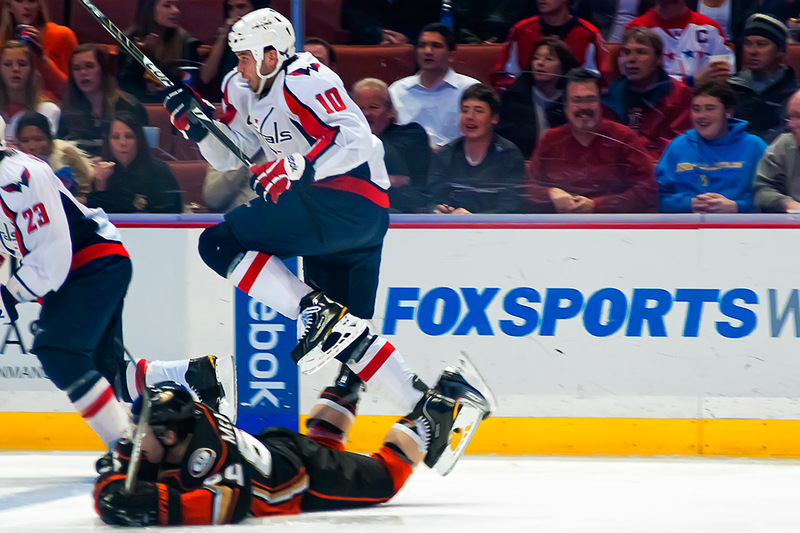 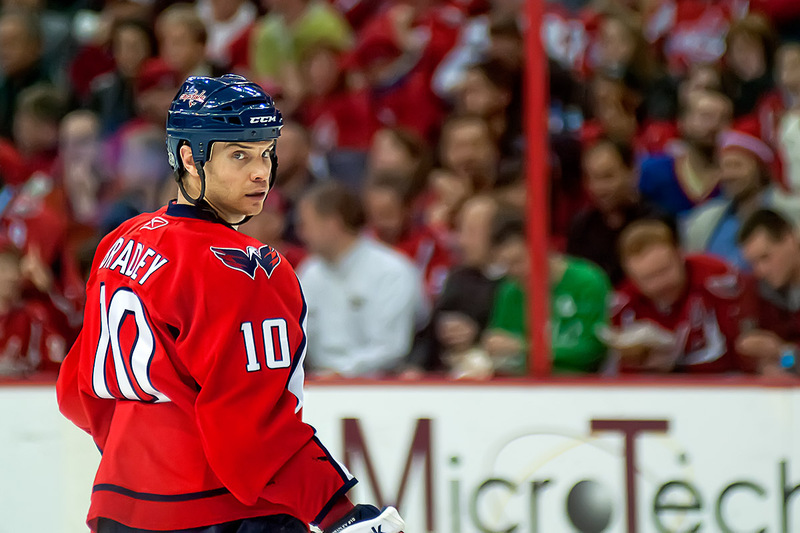 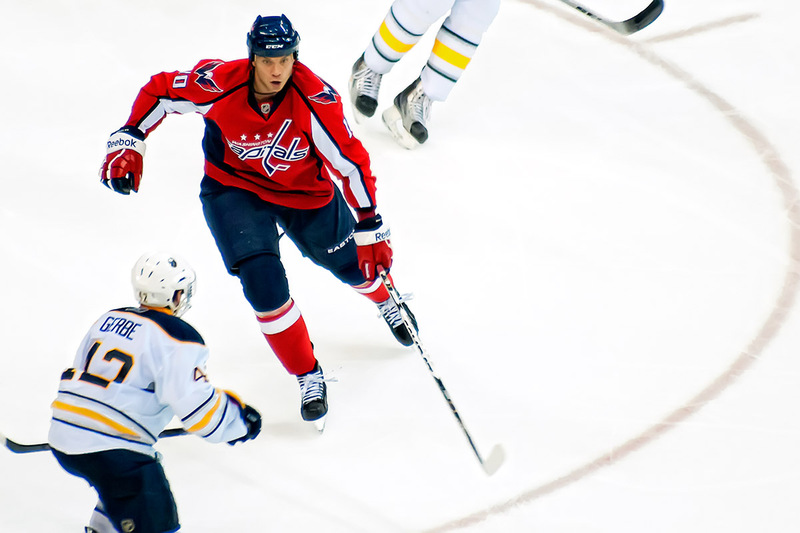 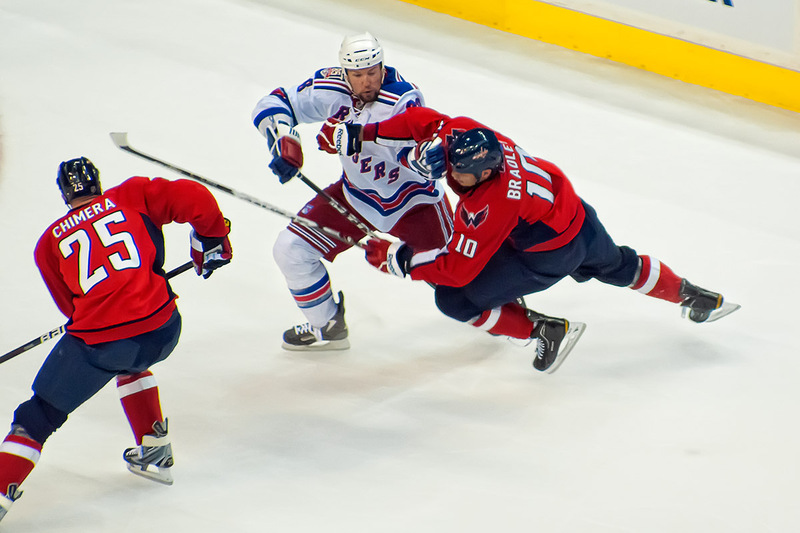 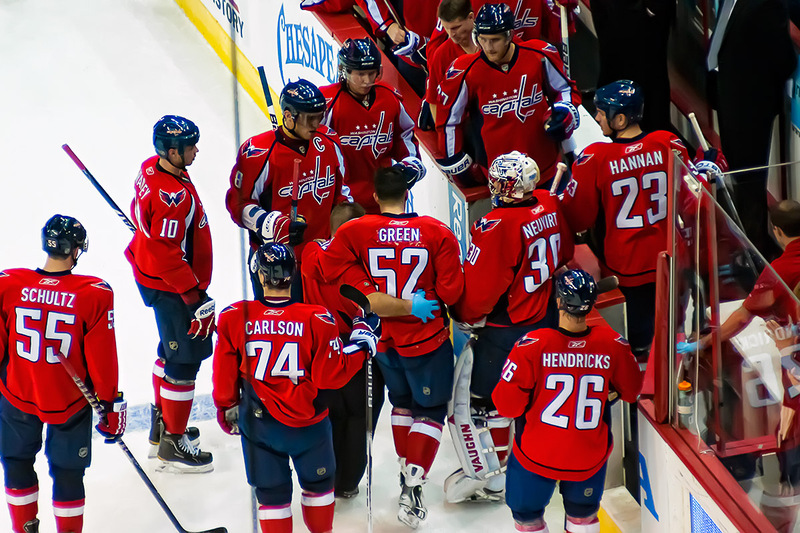 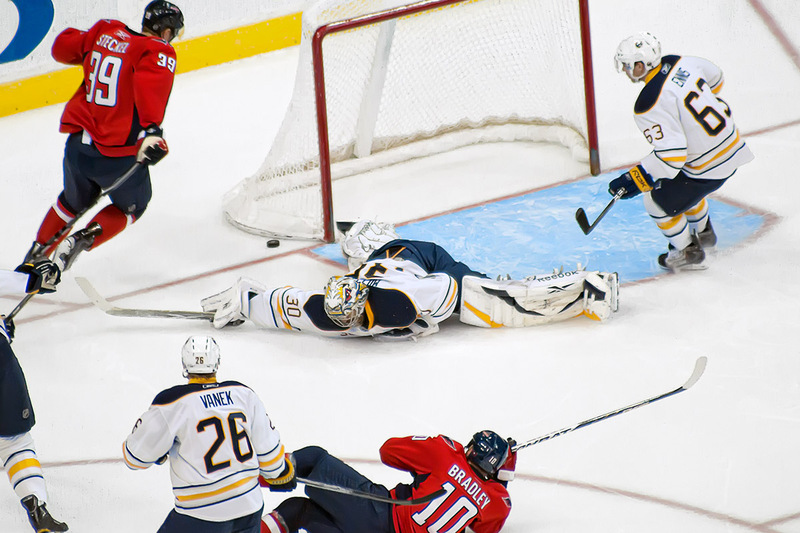 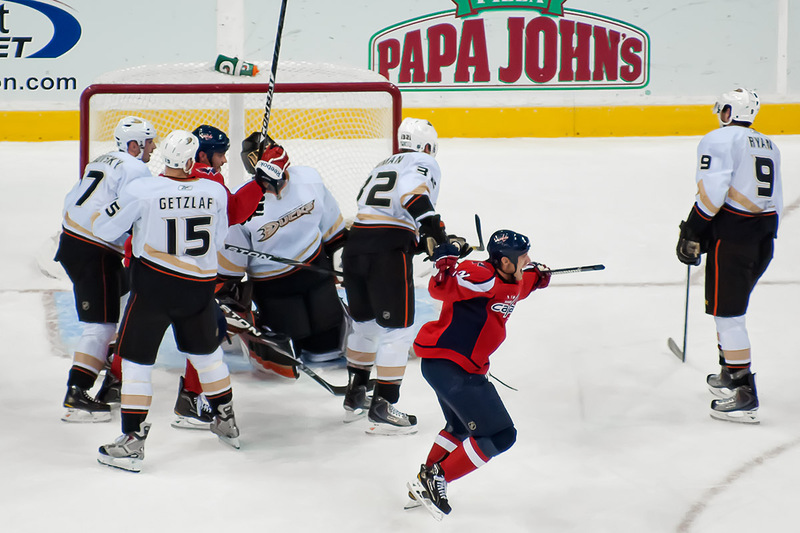 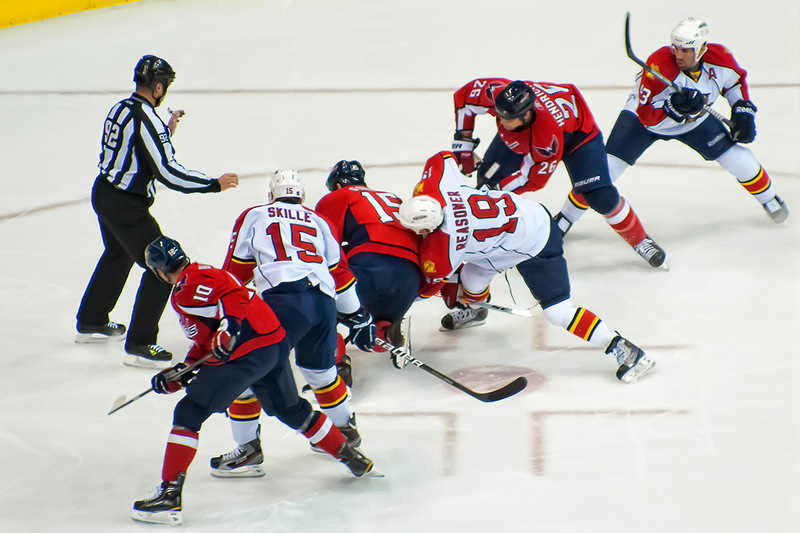 Since the Washington Capitals moved from the Capital Center USAir Arena to MCI Center Verizon Center, has the team had any player that spilled as much blood in the team’s name than Matt Bradley? 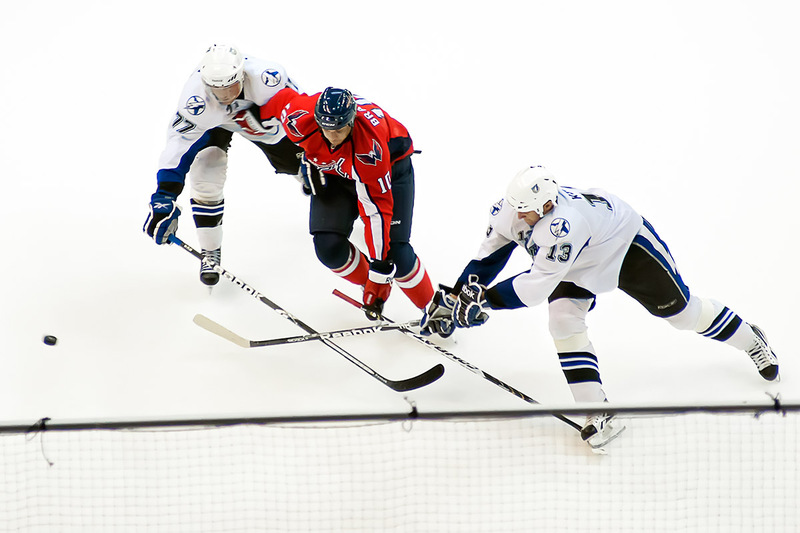 None come to mind. 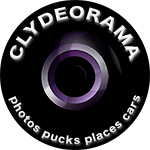 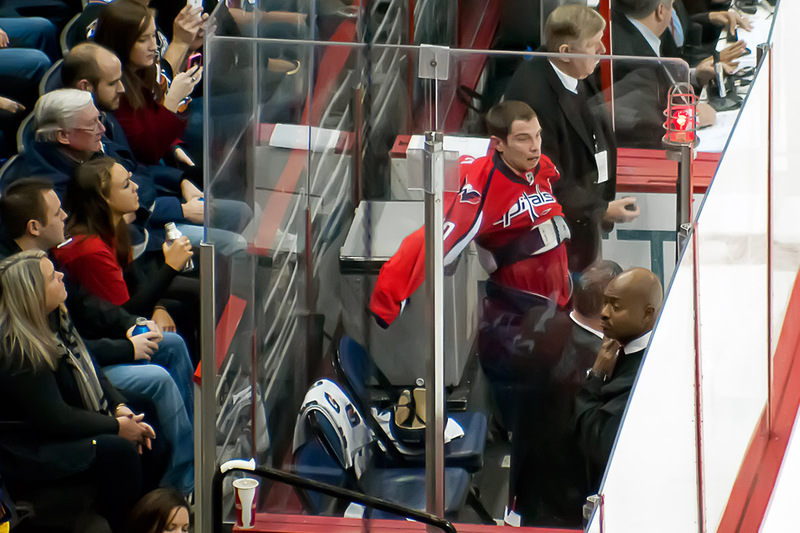 As an idiot that brings a camera to nearly every game, I have a list of shots that I want to take. 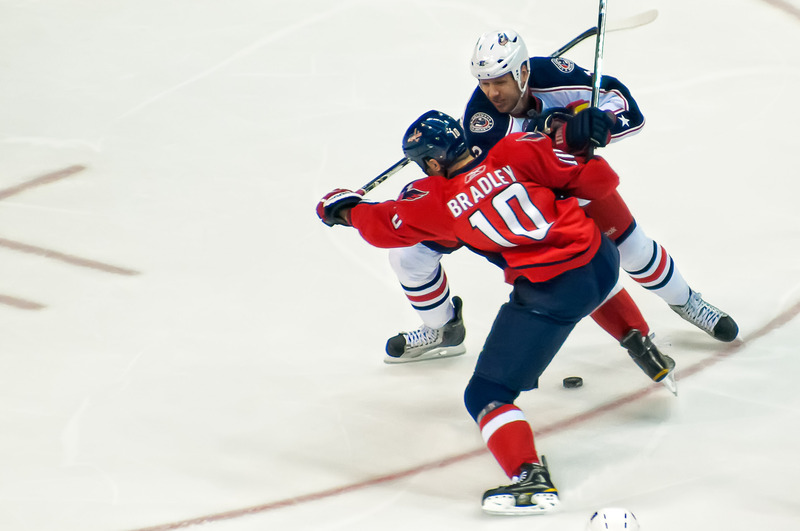 Matt Bradley’s bleeding face was one of them. 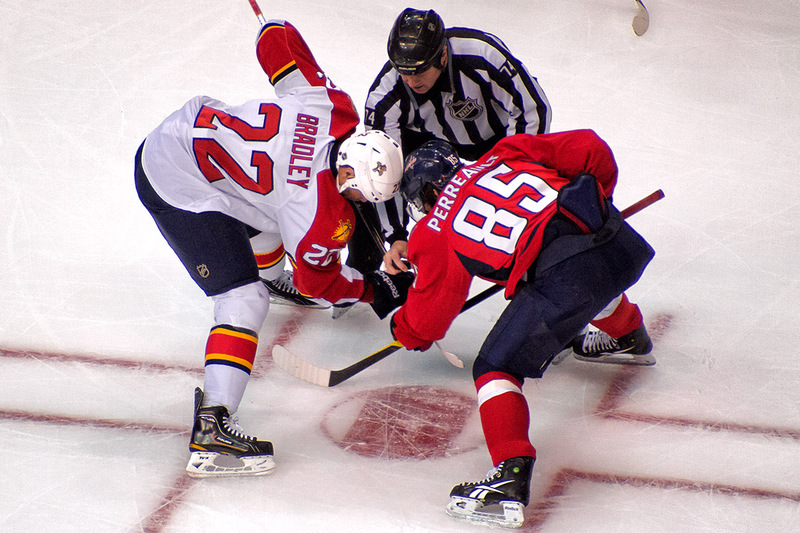 Although such a shot is still a possibility with Bradley now part of the Florida Panthers, who come to town often enough, it just won’t be the same if the blood is staining another uniform. 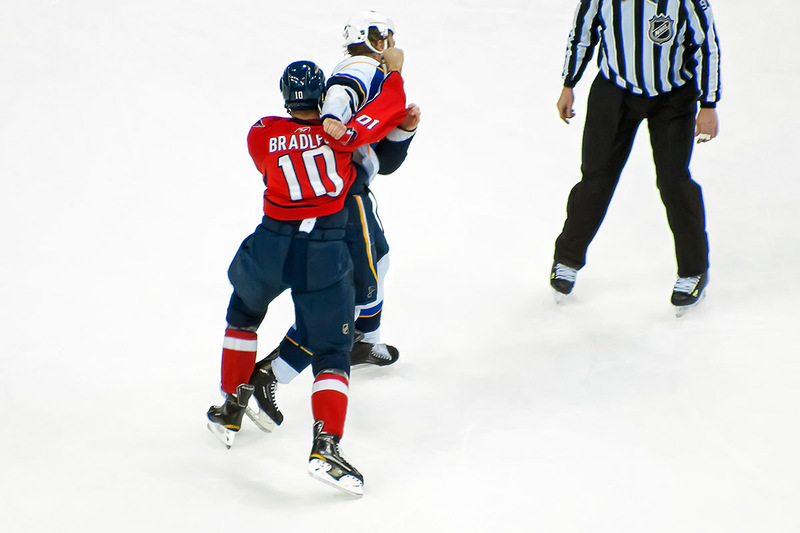 Even when Bradley’s face wasn’t bleeding, it was always displaying some kind of interesting expression and really made for one of the more regularly interesting players to photograph, even from the cheap seats where I spend most of my time. 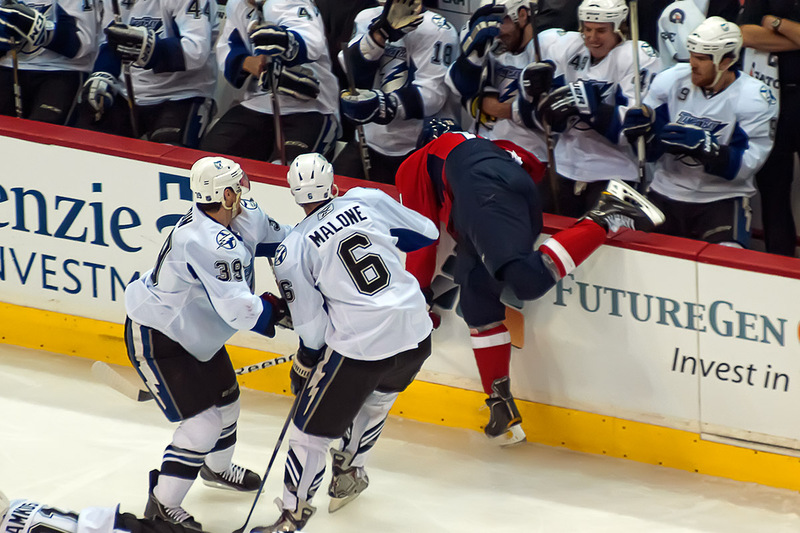 And the rest from 2010-11. 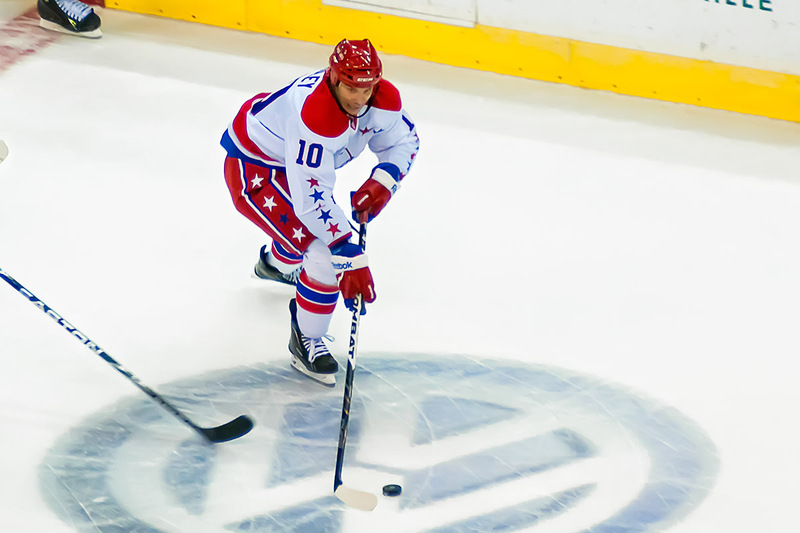 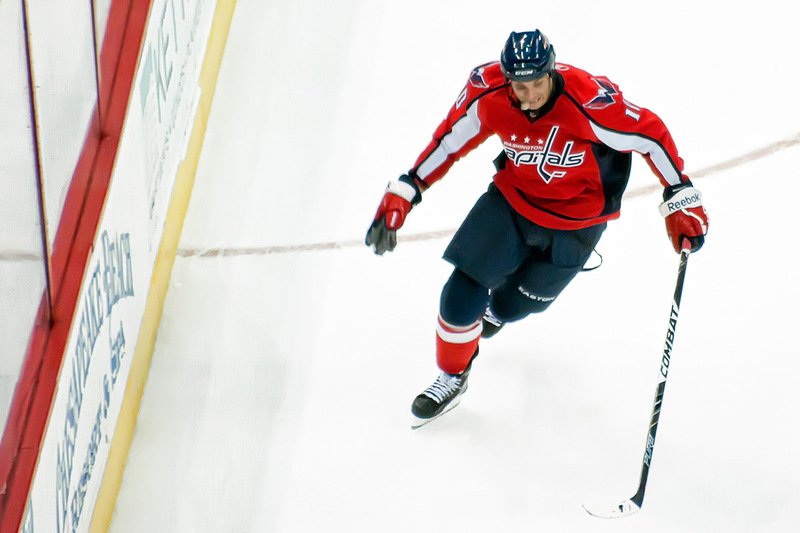 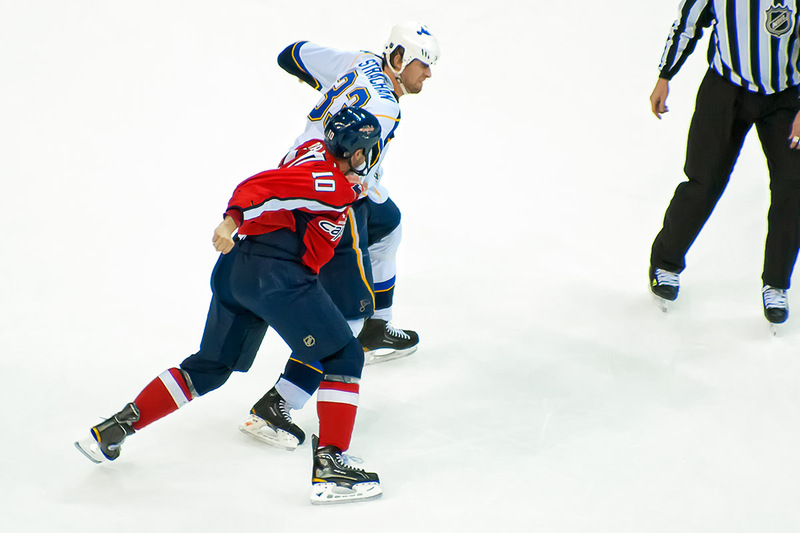 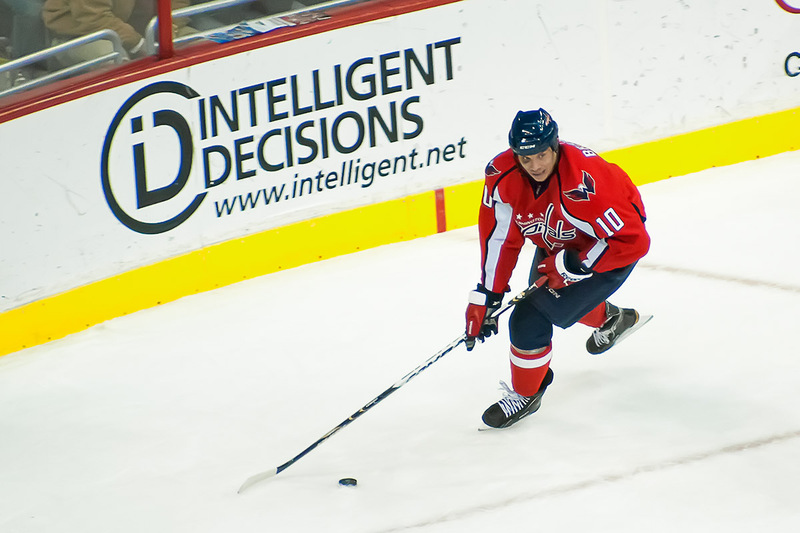 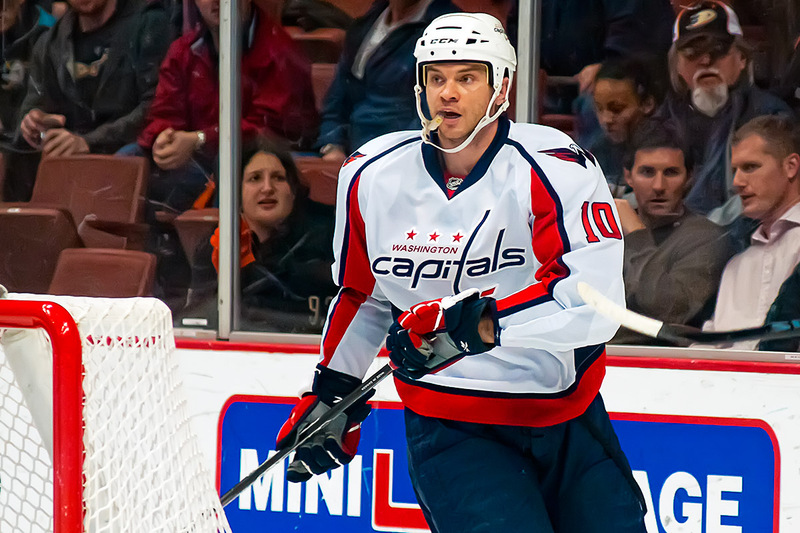 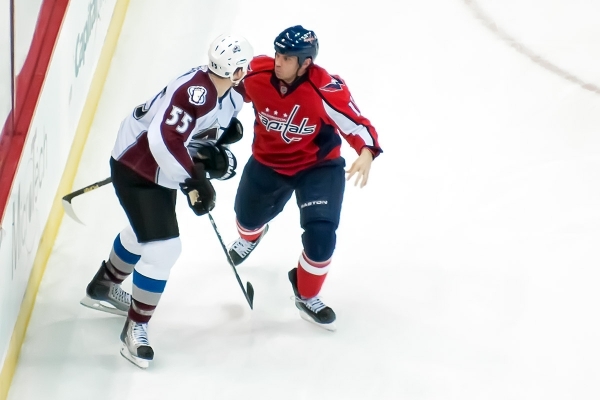 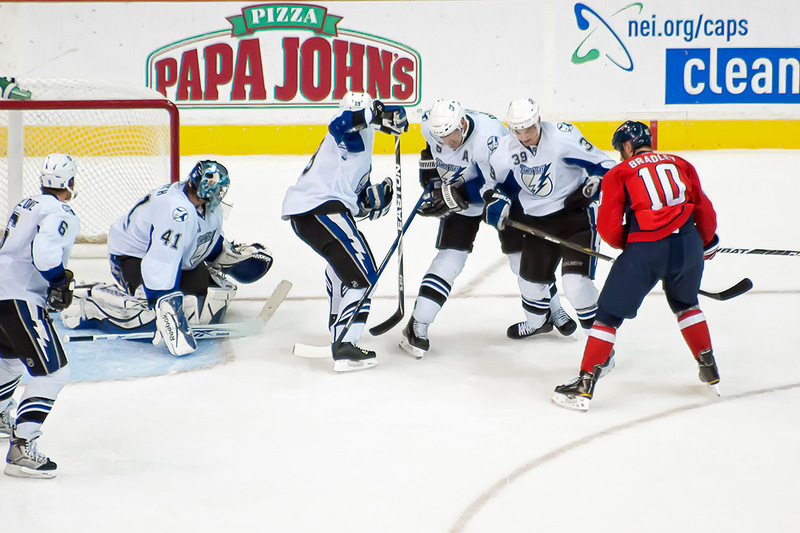 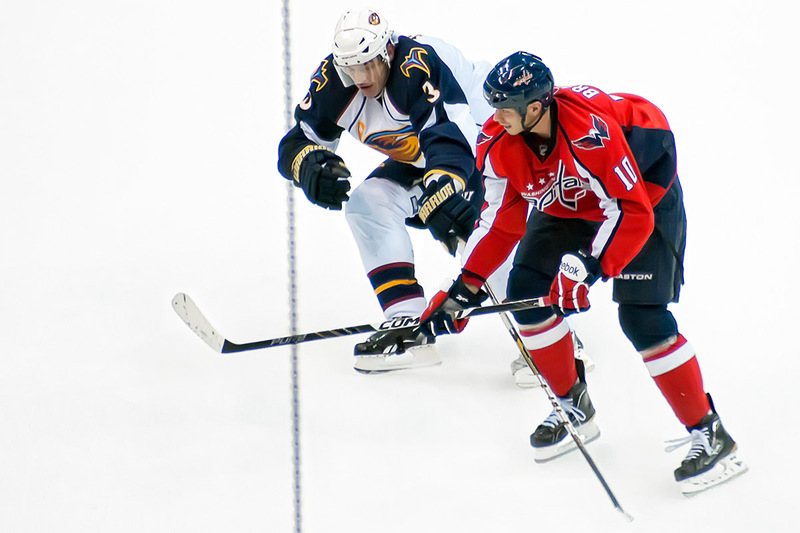 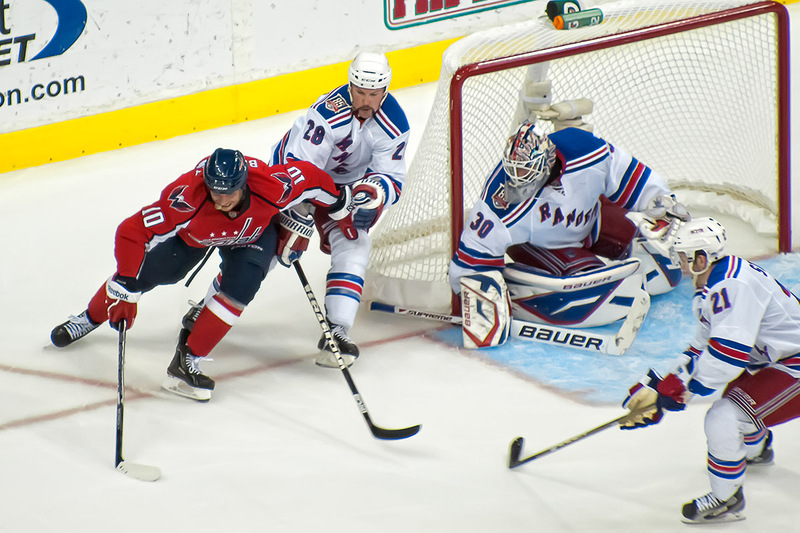 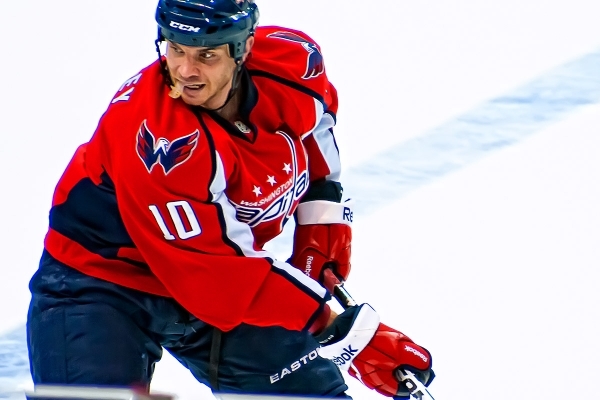 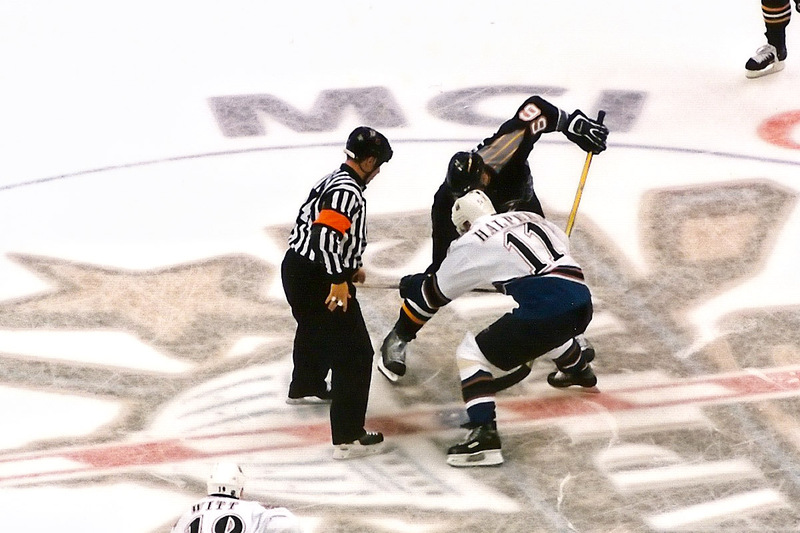 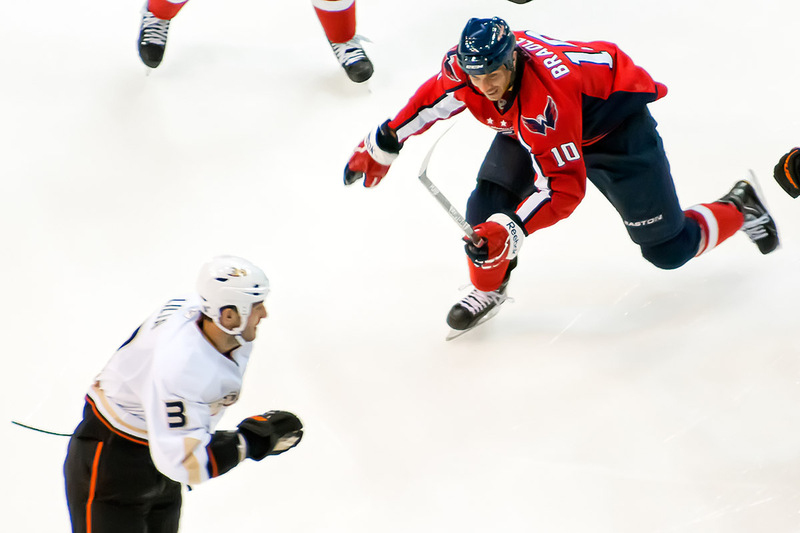 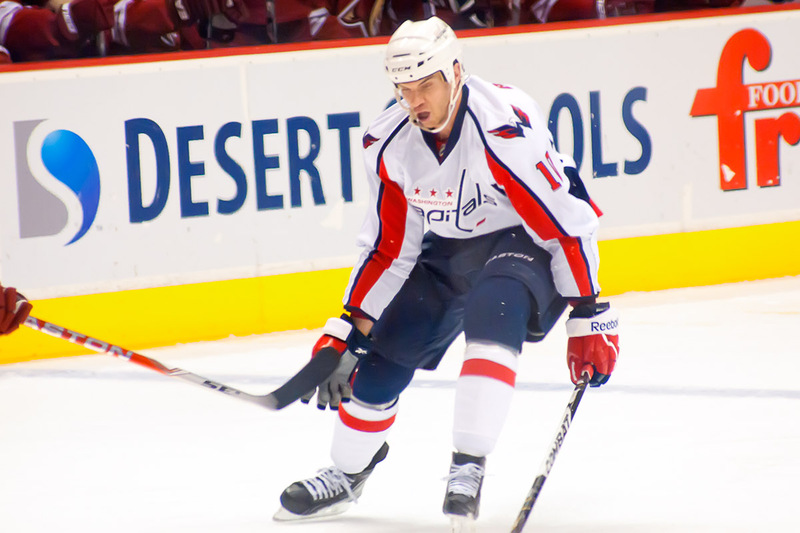 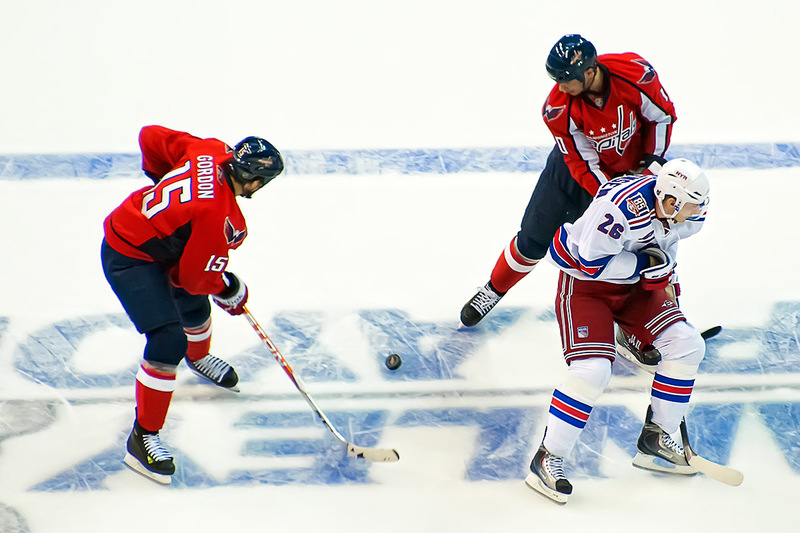 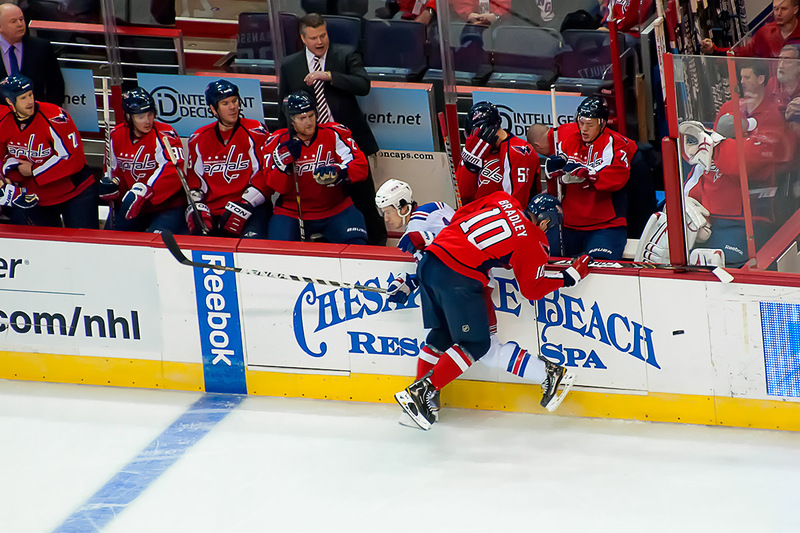 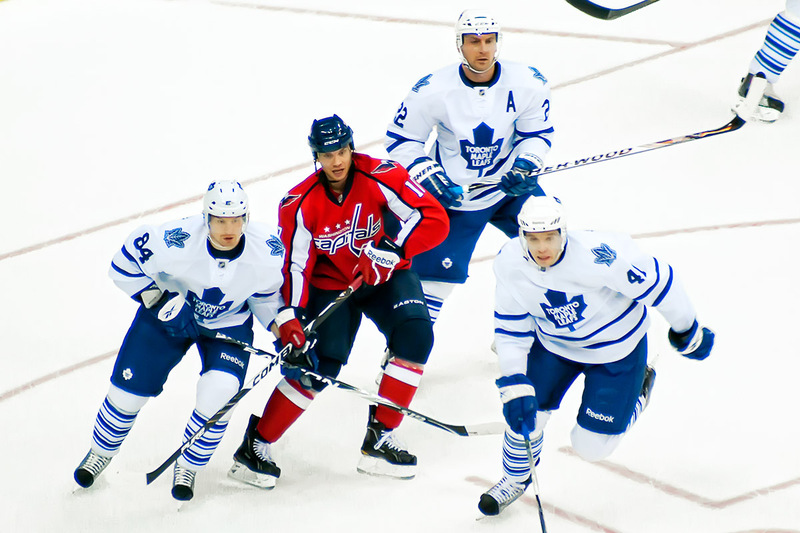 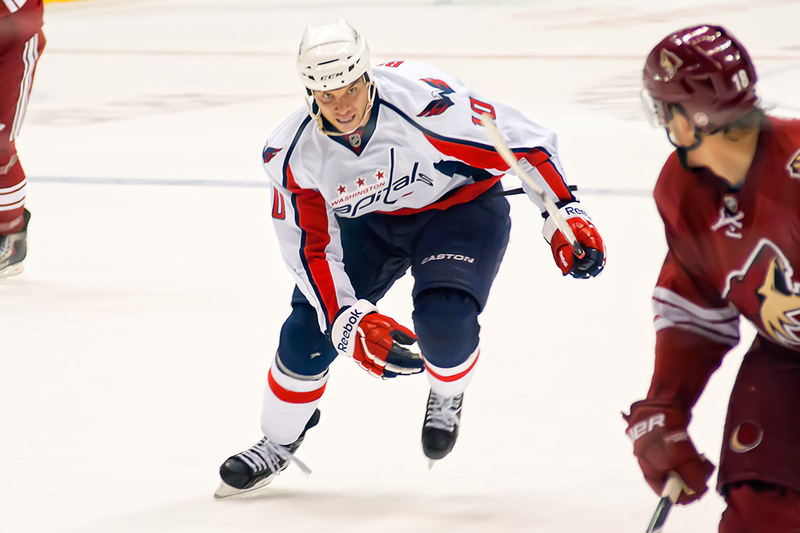 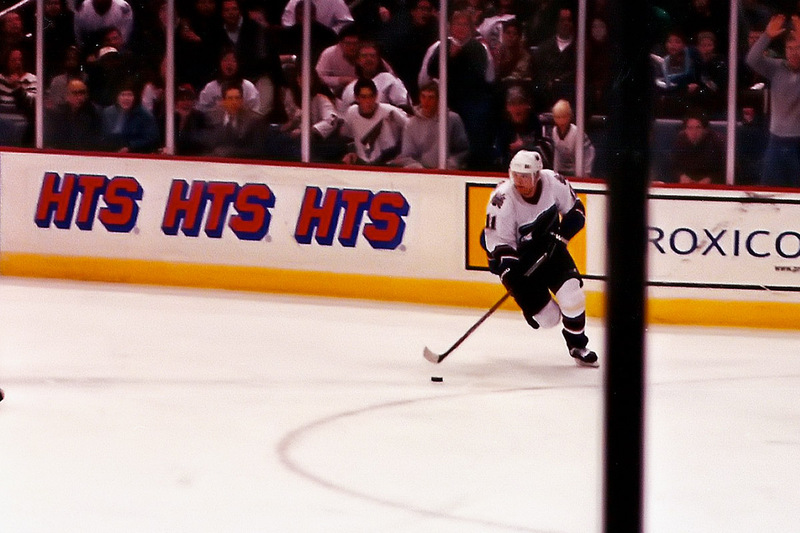 Washington Capitals General Manager George McPhee’s first signing of the 2011 NHL free agent season was former home grown Capital Jeff Halpern. 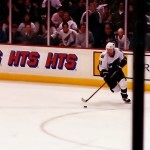 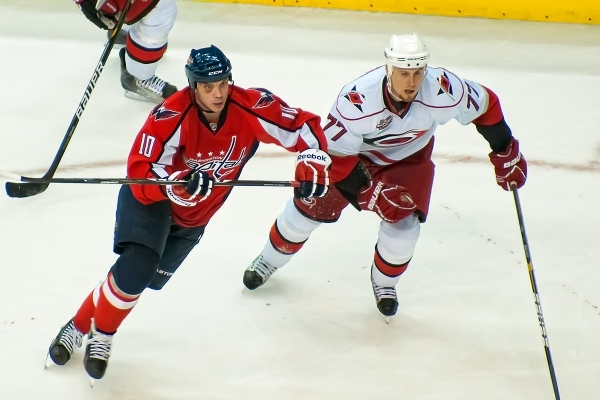 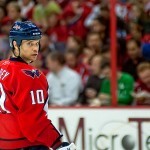 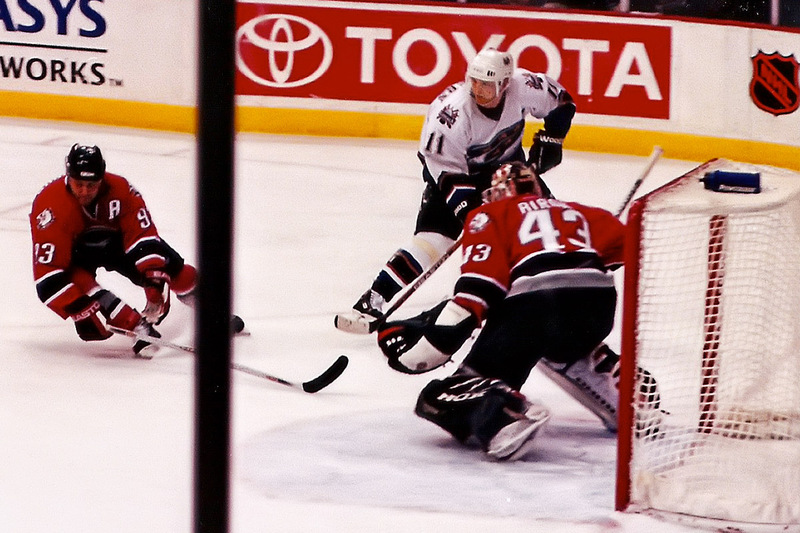 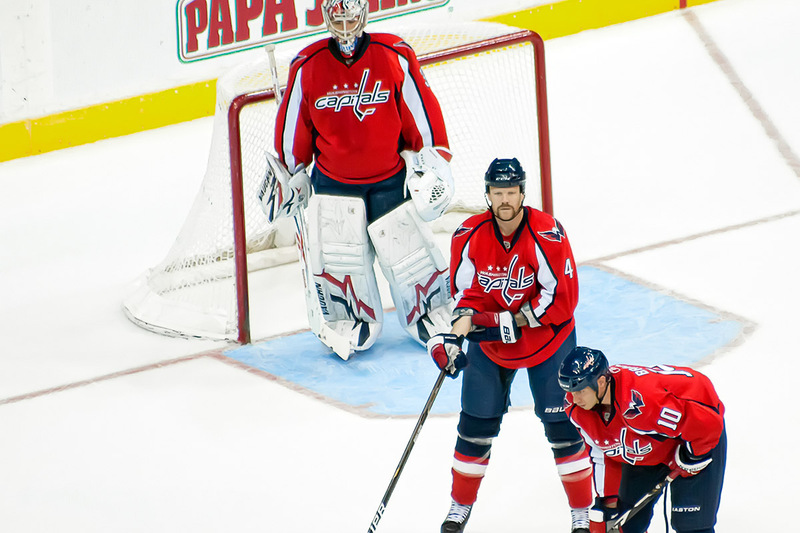 Halpern played for the Capitals from 1999 through 2006 and was the team captain in 2005-06. 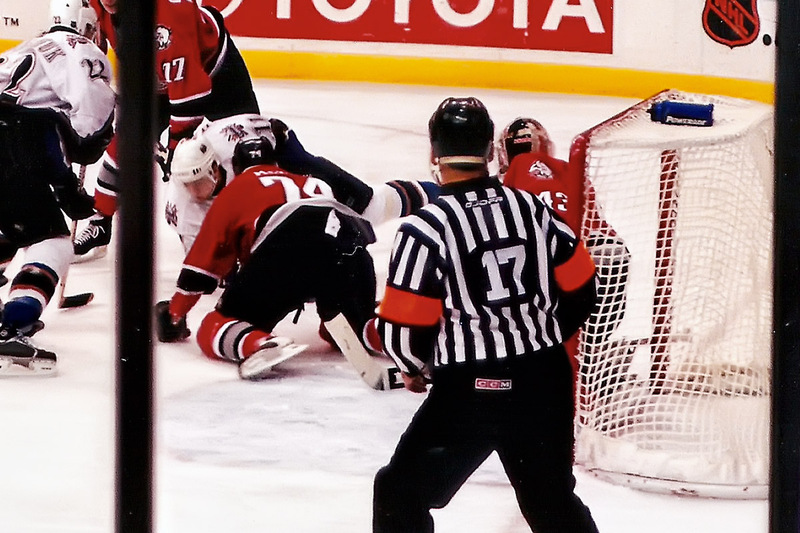 I brought a film camera to a couple of the few games I attended and found some photos. 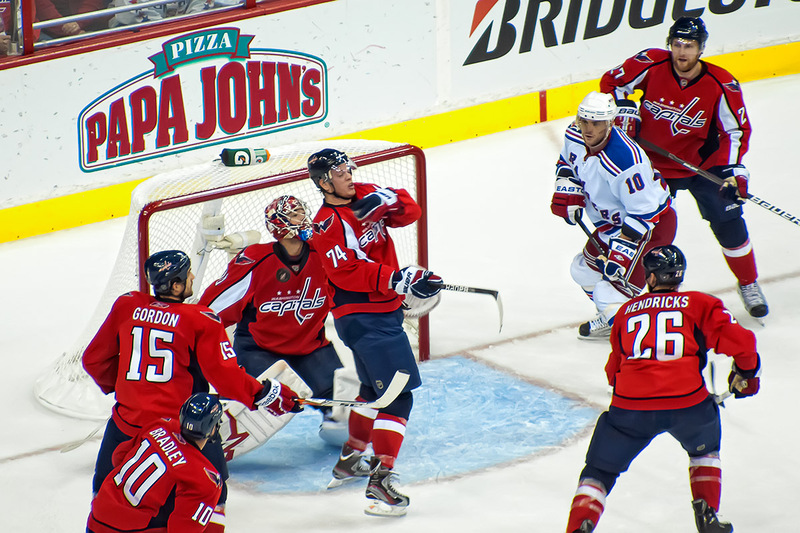 They and the quick scans are what they are, but there they are.